Dejah Mulipola is batting .395 with four home runs, which doesn't include her 1-for-2 day with a homer in an exhibition against Japan. 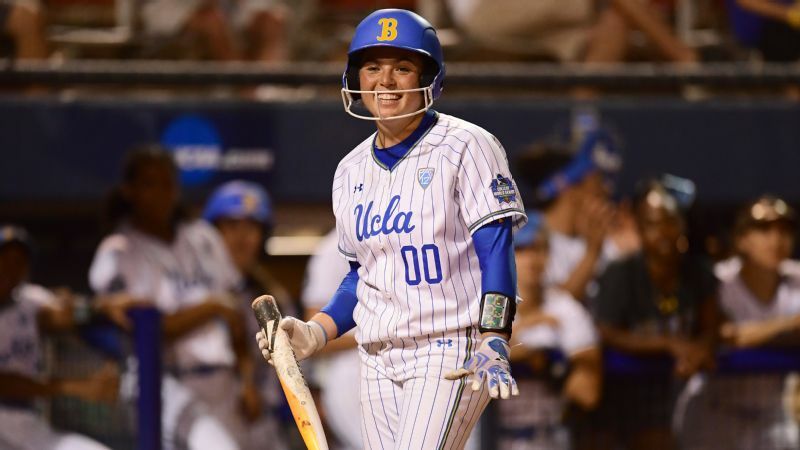 Throughout the 2019 NCAA softball season, espnW will spotlight a candidate for the espnW softball player of the year. 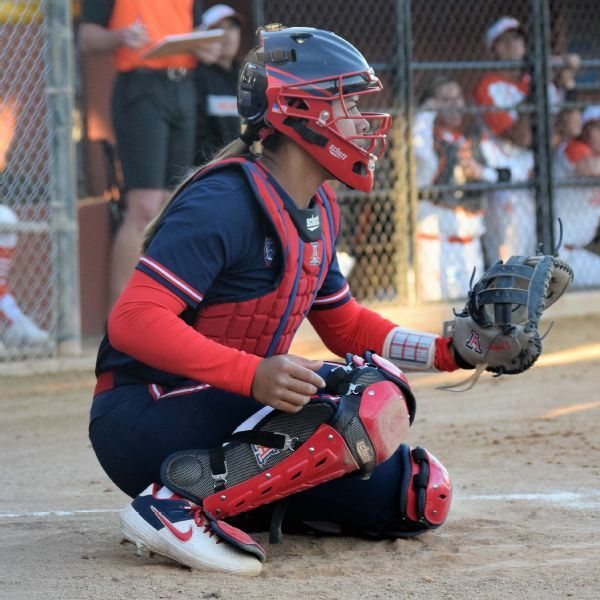 This week we feature Arizona junior catcher Dejah Mulipola. Home runs and asterisks have some history in bat-and-ball sports. In Dejah Mulipola's case, there is nothing nefarious nor controversial about the footnote. It's just that arguably the most significant home run she's hit in an Arizona uniform didn't actually count. The ball she sent over the fence on Saturday at the Mary Nutter Classic doesn't count toward the four she's officially hit this season or the 28 the junior has hit since arriving in Tucson to play for the Wildcats. 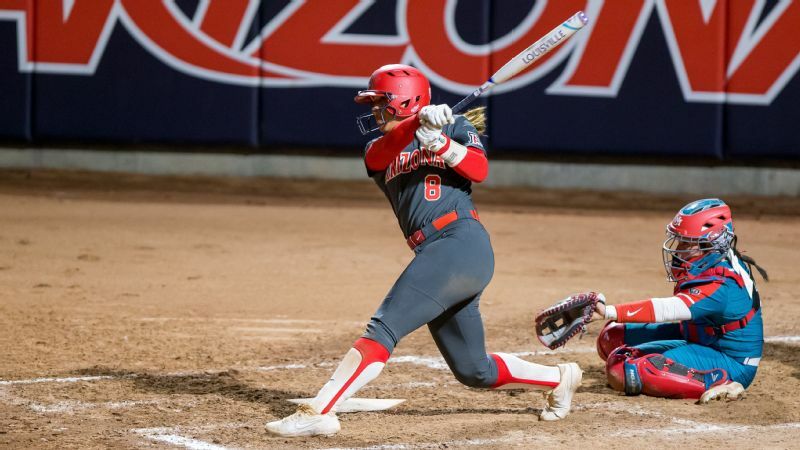 But how many home runs this season have ramifications for two dynasties attempting comebacks -- Arizona hoping to return to the Women's College World Series and Team USA trying to reclaim Olympic gold? Mulipola's most recent home run doesn't add to her career totals, but it adds to the story of someone quickly becoming a player capable of influencing games the world over. The home run came in Arizona's final game of the Mary Nutter Classic in California, an exhibition against the Japanese national team that followed games against five college opponents. With the encounter scoreless after Japan left the bases loaded in the top of the sixth, Mulipola stepped in with two outs and the bases empty in the bottom of the inning. A night earlier, frustrated by the feeling of seeing the ball well without much reward in the form of hits in the first four games, Mulipola asked her dad for advice. He told her to relax in the batter's box, to get out of her own head. Perhaps that was why she wasn't too preoccupied the next day to notice subtle movement behind her in that at-bat against Japan. "I swear I could hear the catcher, like, right behind me, as if it was an inside pitch," Mulipola said. "Then I saw the pitcher's body kind of come inside, and in my head I was just like, 'Oh yes, this is my pitch about to come.' And it was an inside pitch, and I just turned on it." Teammate Gina Snyder completed her shutout in the seventh and Arizona walked away with a 1-0 win. Making its way around the United States for the second February in a row, Japan typically does to college opposition what one would expect the world's second-ranked team to do. At the same tournament a year earlier, it beat UCLA 6-0. It beat Florida 8-0 earlier this season in Gainesville. Arizona winning was always unlikely, but it was made all the more so because the Wildcats had minutes earlier suffered a disappointing 2-1 loss to Oklahoma. With a 9-5 record, albeit with three of the losses against highly ranked Alabama, Florida and Oklahoma, Arizona isn't off to the kind of start that immediately inspires belief that it can end a nearly decade-long World Series drought. But leaving the weekend with a win against Japan altered the mood, if not the record. "Hopefully that will be a great way to boost their confidence," Arizona coach Mike Candrea said. "I know that they can play with anyone. So I thought it was a great way to end that tournament, to be able to play that game and win that game." At the heart of the effort, and the impetus for the challenging schedule according to Candrea, is a junior class loaded with talent. And at the heart of that class is Mulipola, the catcher who is now also one of two active collegians (along with UCLA's Rachel Garcia) on the U.S. national team. Catcher Dejah Mulipola was a member of the Pac-12 all-defensive team last season as a sophomore. "She's just starting to realize how good she can really be," Candrea said. "When I look at her, I look at this great athlete, someone who can play both sides of the ball really well, someone who can run really well. She's a five-tool player. If she was a guy, she'd be making a ton of money." Riches aren't forthcoming, but there may be an opportunity to play in an Olympic spotlight that a generation ago offered players mainstream recognition and a measure of immortality within the sport. Just 10 years old when the U.S. settled for silver in the 2008 Olympics, Mulipola made what amounted to a secondary senior national team last summer. Her ascent continued when invited to try out again this past January, only without the safety net of a secondary team. A coveted recruit who earned accolades in her first two college seasons, including all-defensive team honors in the Pac-12 a season ago, Mulipola didn't come out of nowhere. 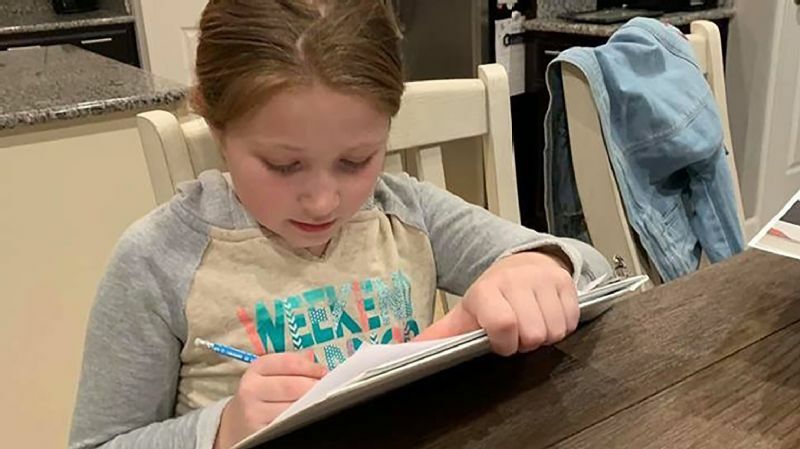 But she sure got to where she is in a hurry, going from high school to competing for a place on the best team in the world in barely more than two years. "You are going up against Kelly Kretschman and Monica Abbott and Cat Osterman, people who have been at that level for quite some time now," Mulipola said. "And me being younger and not having the same experience as them, it is a little intimidating at first, going into a tryout and competing against those kinds of women. I was really nervous. But at the same time i knew I was there for a reason -- I was invited for a reason." She left the tryout thinking she hadn't done enough, that her hitting fell short of what it would take to make the team. But when her phone erupted in alerts and texts on the morning the roster was announced -- she slept through the alarm she set to be awake in time for the email sent to players -- she learned she was part of the team that will compete this summer and suddenly had the inside track on the roster that will compete in Tokyo next year. 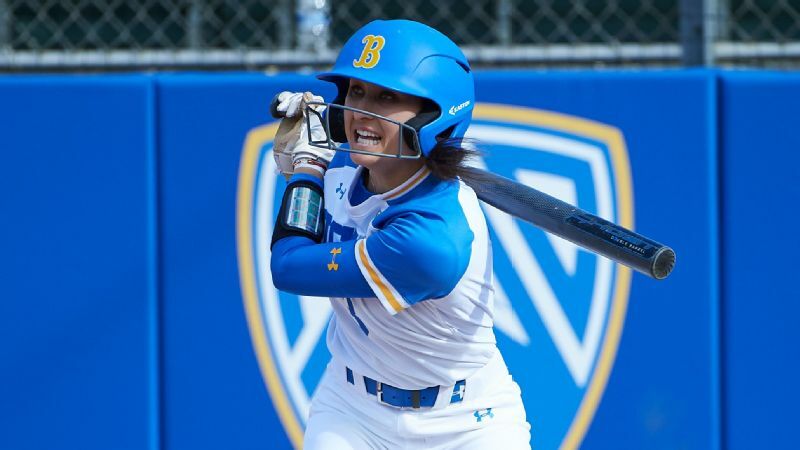 Hitting a home run against the team most likely to get in the way of a U.S. gold in 2020 can't hurt, even if she did it while wearing an Arizona uniform in an exhibition game. Candrea likes to talk about building "databases," the accumulated experiences that players call on in any given situation. The Olympic coach in 2004 and 2008, he knows better than just about anyone the difficulty of what Mulipola is attempting. So he had a simple message Saturday. "I told her I want her to make sure she puts that in her database," Candrea said. That is more important than putting it in the record book.